If you are a fan of soulful, high-quality music, we have some exciting news to share with you. 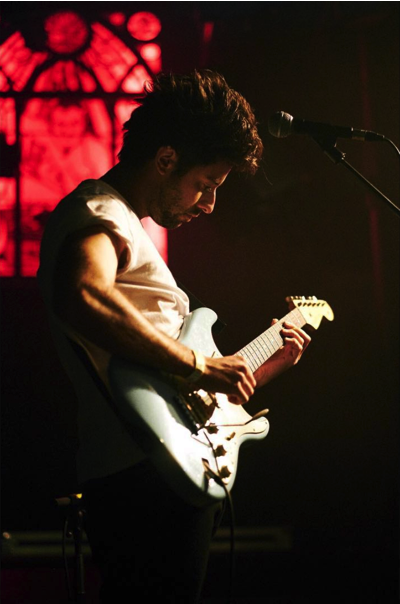 Bruno Major – a classically trained guitarist who is beginning to gain much attention and recognition in the music world – will be supporting Sam Smith during his two concerts in the 3 Arena, Dublin, on March 30th and 31st. He is also undertaking his own headline tour in April and May. This tour will include gigs in Belfast and Dublin. Read on to learn more! Bruno Major is based in Camden, London. He originally trained as a classical guitarist and released a live EP showcasing his skills (which bears the simple name Live EP) in 2014. 2016 was the year that Bruno began to receive widespread recognition, as he set out to release a new song every month for a full year. This ambitious project extended into 2017, and gained a great deal of praise. Bruno accompanied this steady stream of digital singles with regular live appearances across London. All of the songs he created as a result of that process are available together as the collection A Song for Every Moon. Bruno’s captivating, soulful sound has been compared to the work of Jamie Woon and Rufus Wainwright. If you would like to experience Bruno’s sound for yourself, make sure you listen to A Song For Every Moon on Bruno’s SoundCloud page here, or watch the video for Cold Blood here. His website is brunomajor.com. Bruno will be the support act for Sam Smith during his concert dates in the 3 Arena, Dublin, on March 30th and 31st. Tickets for the Sam Smith concerts are available here. Bruno is also headlining his own tour in April and May. As part of this tour, he will be performing at Empire, Belfast, on April 28th, before moving on to the Workmans Club in Dublin on April 29th. Tickets for Bruno’s Empire show can be found via this link, while tickets for his Workmans Club gig are available here. Both his headline tour and his tour with Sam Smith will include other dates in Belfast, London, Glasgow, and Manchester, to name a few. A full list of Bruno’s upcoming concert dates and locations for both tours can be viewed on his website – just click here. To learn more, visit Bruno’s website or contact his representative Thom at thom@sonicpr.co.uk.